Deputy Attorney General Rod Rosenstein speaks to guests at the International Association of Defense Counsel's 2018 Corporate Counsel College on April 26, 2018 in Chicago, Illinois. Deputy Attorney General Rod Rosenstein said Tuesday that the Justice Department "is not going to be extorted" as some House Republicans raise the prospect of seeking his impeachment, NBC News reported. 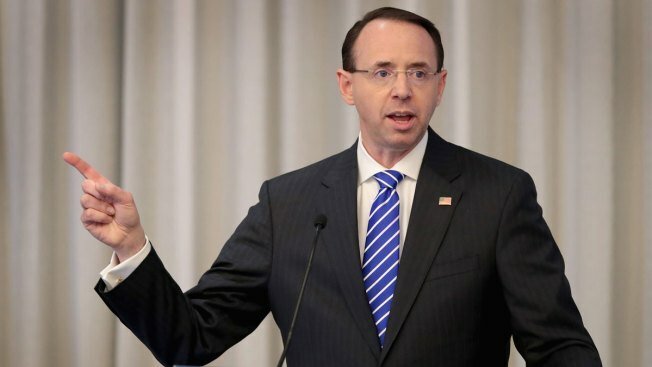 During an appearance at the Newseum in Washington, D.C., marking Law Day, Rosenstein was asked about a draft of articles of impeachment prepared by Rep. Mark Meadows, a North Carolina Republican, and other members of the House Freedom Caucus. 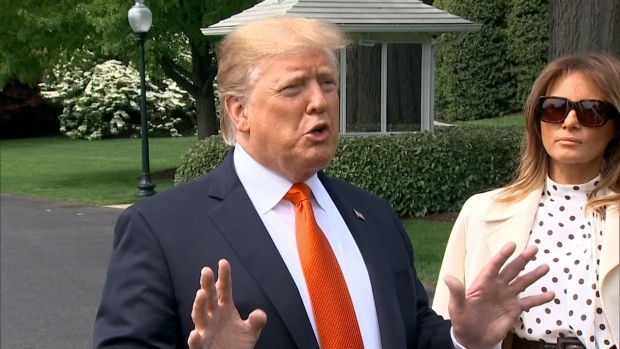 They have pushed for the release of internal Justice Department documents concerning some aspects of the Russian meddling investigation and the Hillary Clinton e-mail probe. "There are people who have been making threats, privately and publicly, against me for quite some time," Rosenstein said. "And I think they should understand by now, the Department of Justice is not going to be extorted."